Description: New colorful game for all fans of card solitaire games. The caravan with presents moves slowly across the dry desert from one oasis to another. The travel is dangerous and difficult and you should play 5 solitaire games in each episode. 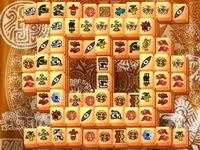 There are 100 levels , which give you hours of pleasant gameplay.